Español: Prometeo satélite de Saturno observado por el Voyager 2 en 1981. Deutsch: Der Saturnmond Prometheus, aufgenommen von Voyager 2 im Jahre 1981. 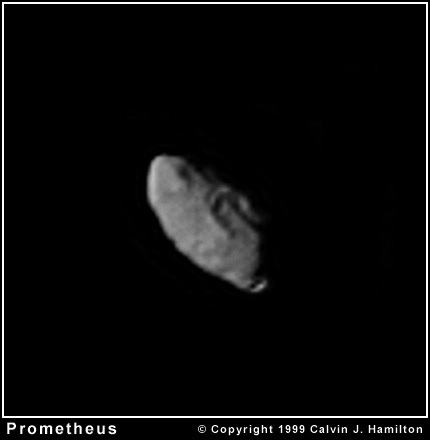 English: Saturn's satellite Prometheus, acquired by the Voyager 2 spacecraft on August 25, 1981. 2015년 3월 26일 (목) 11:27 150 × 150 (4 KB) Huntster Reverted to version as of 23:00, 23 January 2005; unnecessary and inappropriate upsampling.